STEM is a curriculum based on the idea of educating students in four specific areas — science, technology, engineering, and mathematics — in an applied approach. Rather than teach the four disciplines as separate subjects, STEM integrates them into a cohesive learning model based on real-world applications. What separates STEM from traditional education is the blended learning environment that prepares students to become creative and innovative problem solvers, researchers, engineers, and much more. 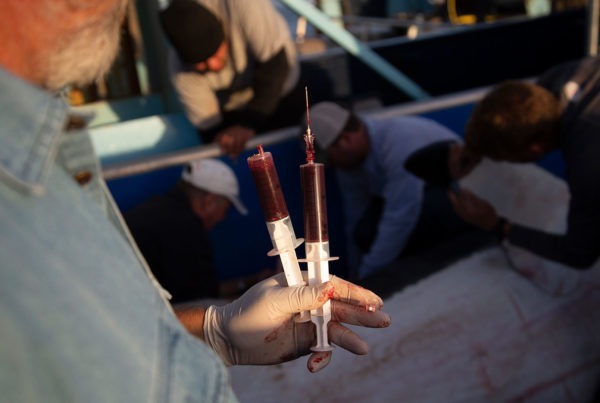 How does OCEARCH use STEM? In 2013, our team met a teacher who was incorporating the OCEARCH Tracker in her lesson plans to teach her students about math and science. Inspired by her and the possibility to reach thousands of students, we partnered with a Landry’s, Inc. team of program writers to create an entire K-8 STEM Curriculum, with lessons in physics, math, biology, chemistry, social sciences, and geography. 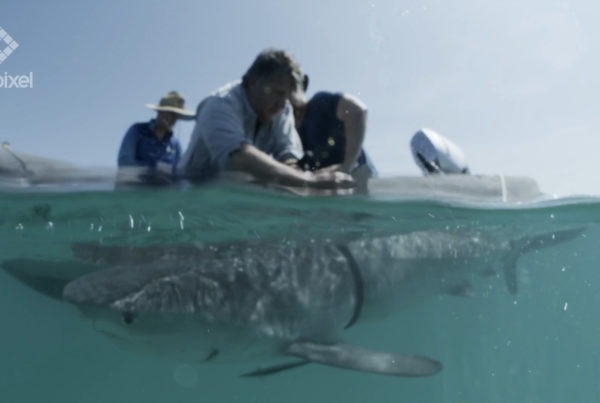 The curriculum enables students to learn STEM skills while following the real-time movements of their favorite sharks on the OCEARCH Tracker. 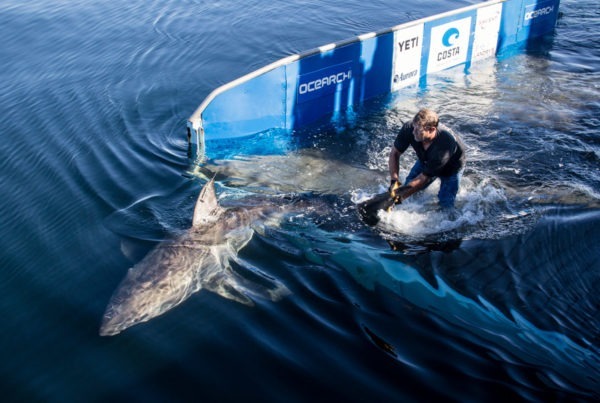 Our STEM curriculum goes way beyond just utilizing the OCEARCH Tracker. Several of our lesson plans focus on our crew and collaborating scientists who use STEM skills in a variety of ways, from determining the focus of a research expedition to the logistics and equipment needed for a successful trip. For example, one of our lesson plans focuses on Captain Brett McBride who uses state of the art technology to maneuver the ship while taking weather and tides into consideration, all of which require mapping and mathematical skills. As part of our STEM Learning Program, we also offer STEM activity packets based on our expeditions or events. These events include Earth Day or World Ocean’s Day, Skype sessions with our crew or scientists, STEM Day Camps, Teacher Workshops, School Presentations, and more. How to incorporate STEM into your classroom? Our free STEM lesson plans are easy to integrate into any classroom (including homeschool) and include fun activities that encourage problem-solving, exploration, and creativity. It’s very easy to use the entire lesson plan or just elements from it. Educators can use our curriculum, Skype sessions, and other programs, to provide students with opportunities to connect what they learn in the classroom to careers in their community. If you’d like more help with integrating elements of our lesson plans into your curriculum, email us at education@ocearch.org to sign up for a Virtual Teacher Workshop (one on one, or in a group setting).